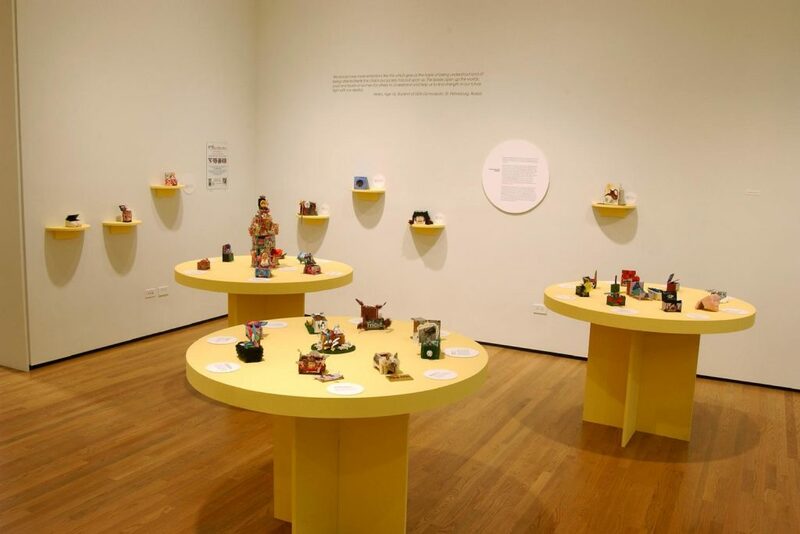 Women Beyond Borders collaborated with Girls Inc. at the Ten-Year Retrospective in 2002. 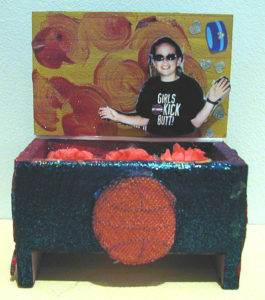 Girls Inc. held workshops where young students created boxes that were exhibited at the WBB exhibition. 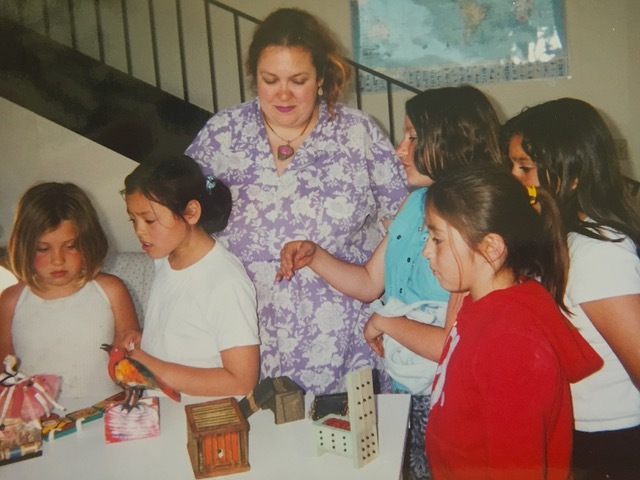 Christine Scott worked throughout the program to empower young girls to tell their truth through art. 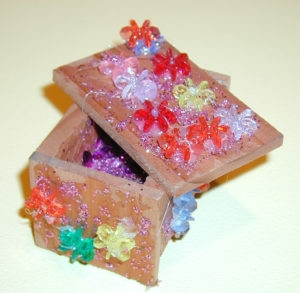 After the program was completed the girls were encouraged to keep their boxes as reminders of their powers of self-expression. Below are a few heartfelt statements the girls wrote to describe their boxes. I was thinking about how a judge who doesn’t know me, my dad or my mom changes my whole entire life in a few minutes. I think if you live with your mom, you should get to still see your dad every few weeks, and if you live with your dad, you should still get to see your mom every few weeks. I don’t like how you can never see your dad or mom again because some judge says that. Judges should have to learn how to meet somebody before they judge them. My box is about being a girl who doesn’t have a dad who lives with me and who has a dad that lives in a car and doesn’t live in a house. My dad doesn’t have a house, he has a car as a house. He made the wrong decision. It is his fault but the devil just made him. He made a very, very, very, very dumb decision. It sometimes feels like I have a dumb dad. My aunt says that girls in Mexico start cleaning when they are 5. They clean because their parents have to work. I have to clean a lot because my mom isn’t there. I have to wash the dishes and take out the garbage and clean the bathroom and get my sister ready for daycare and clean our room. (Sarah helps me) I wish everybody in my family would pick up their mess instead of me cleaning it.